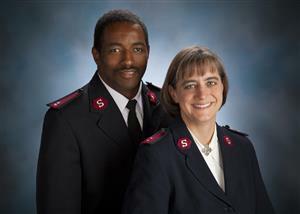 New officers of The Salvation Army of Michigan City, Captain Dale Simmons and Major Becky Simmons, will talk about this year's Christmas Campaign and discuss bell ringing - just in time for the club's annual day of bell ringing to support the local Salvation Army efforts. Rotarian Pastor Dennis Carroll will share his personal experienes with polio and how the Rotary Club helped throughout his childhood years. Deb Parcell is the Community Preservation Specialist for Indiana Landmarks Northern Regional Office in South Bend, where she works with Historic Preservation Commissions in five communities across Northern Indiana, including Michigan City. Previously, she worked as Assistant Director for the South Bend and St. Joseph County Historic Preservation Commission and as a draftsman for Crumlish & Crumlish Architects. 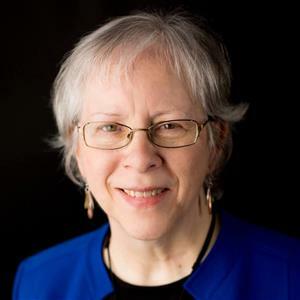 She has a Bachelor’s degree in History from Indiana University, and an Associate’s degree in Architectural Design and certificates in Historic Preservation Technology from Ivy Tech. She is on the board of directors of the Indiana Lincoln Highway Association, where she has served as secretary, treasurer, and president. A lifelong resident of Elkhart County, Deb and her family live in a circa-1850 brick farmhouse in rural Benton township which they have been restoring since 2004. Deb and her husband, Dave, have five children and are actively involved in 4-H, Fairfield High School sports, church, and volunteering for Indiana Landmarks events. Mike Hackett has been speaking to the MC Rotary annually about the investment markets and giving his own predictions on them for almost 10 years. It’s time for him to do it again. After graduating from Ball State University in 1993, Mike began his career in the financial services industry. Prior to joining Harbour Trust in 2001, Mike spent eight years serving as a Personal Trust Administrator with JP Morgan Chase. There, he was responsible for both personal trust and employee benefit accounts. Mike has successfully completed the Personal Trust School program through Cannon Financial Institute at the University of Notre Dame. He earned the designation of Certified Trust Financial Advisor in 1997 and has enthusiastically worked to maintain this designation, as well as expand his knowledge of financial planning and investment management. In an effort to further broaden his knowledge of the trust and investment field, in 2012 Mike successfully passed the CISP exam and became a Certified IRA Services Professional through the Institute of Certified Bankers. He is the head of New Business Development at Harbour Trust and serves as head of the IRA Division. John Lake is the newly-elected Prosecutor for LaPorte County, which makes up the 32nd Judicial Circuit of the State of Indiana. He has practiced in Criminal Law for his entire career, over 27 years, and has tried over a hundred cases. His recent successes include 5 murder convictions since 2014 in LaPorte County. He has also worked as a Deputy Attorney General for the Medicaid Fraud unit. As the County Prosecutor, John heads up a team of 16 Deputy Prosecutors. He is a lifelong resident of LaPorte County, having attended Marquette High School and the University of Notre Dame, graduating with honors in 1988. He earned his Juris Doctor degree from Notre Dame Law School in 1991, and was married the same year. He and his wife Mary, also an attorney and a Deputy Prosecutor, have raised 7 children, with only three remaining at home. John is a 10-year Rotarian and Paul Harris Fellow, having been very active in the Michigan City Rotary Club in the past, and looks forward to more involvement in the community now that he is home to stay. Matt Kubik has traveled to Rome, Italy over 25 times as both student and educator. As and architect he has particular insight as to how the urban lessons and public art of Rome can be applied to Michigan City to assist in creating our town an arts and culture destination. Join us Feb 9 for his presentation of his photographs, sketches and maps to share his vision of Michigan City transcendent. The 2018 Paul J. Alinsky Excellence Award will be presented to Dion Campbell, patrolman with the Michigan City Police Department who is widely recognized for his significant role as the School Resource Officer at Michigan City High School over the past eight years. The Paul J. Alinsky Award is presented in honor of Paul Alinsky who was a past Chamber Chairman of the Board, Rotary Club President and founder of Sentinel Alarm Company. Paul passed away in 1997 and this award was created to keep his memory alive. The award is given annually to a person from the Michigan City community who exhibits dedication to community service and excellence, passion and innovation in their vocation/career. These are the areas where Paul excelled. Mariah Pol, MCAS middle school teacher, will speak about her participation in the Oleander Initiative, which is a gathering of educators from around the world to focus on international peace. It was held in Japan this summer and Mariah was selected to participate. She was one of only two chosen from the United States. We look forward to hearing what she learned and is implementing in her classroom as a result! Dr. Thomas L. (Tom) Keon has been Chancellor of Purdue University Northwest since its formation in July 2016, having successfully led the complicated merger of the two Purdue system campuses in Hammond and Westville, Ind. As Chancellor, Dr. Keon’s leadership centers on positioning the university as a key player in Northwest Indiana’s economic development, educational advancement, environmental sustainability and cultural enhancement. He is committed to cultivating, supporting, and strengthening leadership among students, faculty and staff. An accountant by training and a supporter of civic engagement and the arts by design, Dr. Keon seeks to equip students with the training for successful careers as well as a deep appreciation for the responsibilities of citizenship. 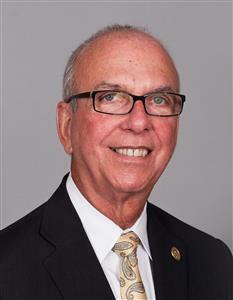 Prior to becoming the first Chancellor of PNW, Dr. Keon served as Chancellor of Purdue University Calumet from 2011 to 2015, and Chancellor-Designate of Purdue University Northwest in 2015-2016. Dr. Keon previously served as the Dean of the College of Business Administration at the University of Central Florida, leading the college through a 14-year progressive change from a teaching institution to a Ph.D.-granting College of Business. 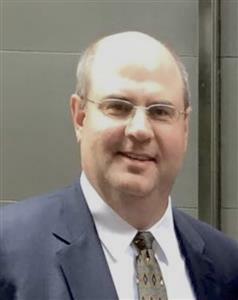 During his 35+ year career in higher education, he has served in leadership roles at Southern Illinois University Carbondale, Florida Atlantic University and the University of Missouri, Columbia. Additionally, he has taught at the University of Notre Dame, Michigan State University and Southern Vermont College. Dr. Keon is a longtime advocate of engaged partnerships between universities and local communities. His primary areas of focus include economic development, culture and the arts, health care, K-12, and athletics. 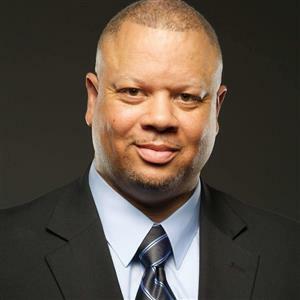 In Northwest Indiana, Keon plays an active role with One Region; the Northwest Indiana Forum; serve as Chair of the Urban League of Northwest Indiana 2019-2020; La Porte Alliance for Regional Development; Legacy Foundation; La Porte County Strategic Planning Steering Committee; and the fiscal management board advising the emergency manager appointed to oversee the state takeover of the Gary Community School Corporation. 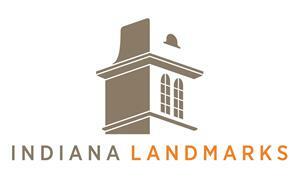 He also actively supports the Crossroads, Duneland, Lakeshore, La Porte, Michigan City and Valparaiso Chambers of Commerce. Canterbury has been a fixture in the Michigan City area for over 50 years, providing entertainment each summer with plays performed by actors presently enrolled in college theatrical majors. This presentation will talk about the upcoming season, and opportunities for local sponsorship and season subscriptions. Tricia Catlin has been the Community Relations Manager at Trail Creek Place since September 2017. She has worked in the Assisted Living industry for 22 years in Porter, Lake and now La Porte County. She will touch on the topic of Health Care needs from Home Health to Hospice. This will be an opportunity to see what thoughts and struggles caregivers may go through in helping Seniors and making healthcare decisions. She will also education on Trail Creek Place and what they offer to the Michigan City Community. Join us for a Rotary Thirsty Thursday social event. 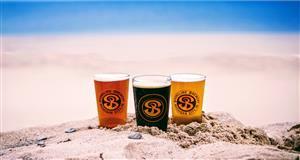 Shoreline will donate $1 for every pint sold towards the Sensory Friendship Garden. Enjoy fellowship. Guests are welcome! The regular lunch meeting on this date will not be held. We will be celebrating the Marquette Catholic High School girls basketball team - State Champs two years in a row! The last meeting of April will be a social meeting on Thursday, April 25, 2019 from 5 to 7 pm at Fiddlehead Restaurant (located at 422 Franklin Street). This meeting will be giveback night with 10% of all meals sold at the restaurant between the hours of 4-8 pm to come back to the club for our outreach efforts. So, come eat, drink, be merry and spread your Rotary Love!! Feel free to bring and or invite family and friends to this event. State Rep. (and our fellow club member) Pat Boy, will discuss what took place downstate during her first session as an Indiana State Representative! Andrea Huntington, Director of Development for Shirley Heinze Land Trust, will give a short presentation about the organization and its work protecting rare and significant natural areas in northwestern Indiana. Meet this year's RYLA students and hear about their experience! 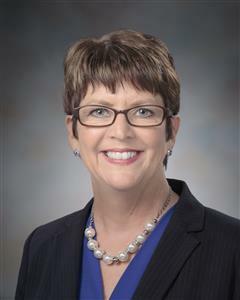 Maggi Spartz will provide an update on current happenings at Unity Foundation including their focus on education and workforce development as well as a review of the 2019 Annual Report to Community. Since 1992, Unity Foundation has helped to make La Porte County stronger…now and forever. In 2018, Rotary of MC received a grant from Unity for our Eyeglass Project and our Club also has a Fund with them! Join us to learn more about OUR community foundation!